Raynor's RapidCoil RC100 is engineered for small to medium interior technology applications up to 12' wide and 12' high. 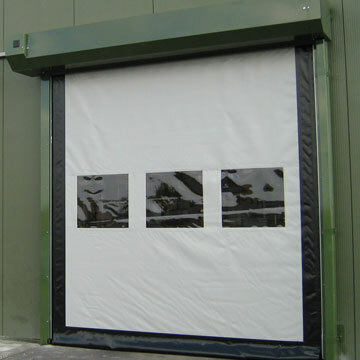 The RC100 door is designed for interior environments, providing a high-tech, safe, durable option for even the most rugged applications. Raynor's RapidCoil RC200 is designed for small to medium interior technology applications up to 12' wide and 12' high. 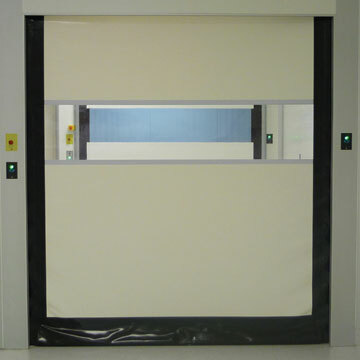 The RC200 door is designed for interior environments, providing a high-tech, safe, and aesthetically pleasing door for even the most demanding customers. 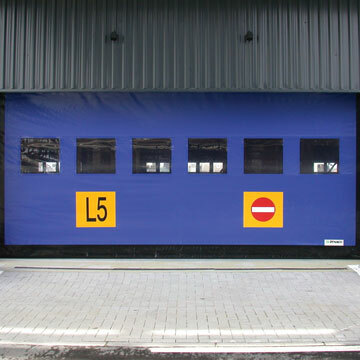 Designed for applications up to 18' wide and 18' high, RC300 doors provide reliable environment control while increasing productivity and safety. "Push Pull" technology provides superior performance in high pressure environments and reduces maintenance. 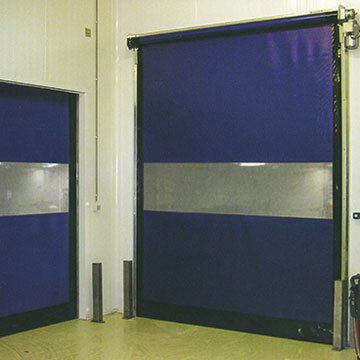 Soft curtain design is crash forgiving, self re-inserting, and exceptionally safe for users. Designed for exterior applications with extreme pressure requirements, the RC300HD protects your environments against wind, rain, snow, dirt and harsh temperatures. The RC300HD opens and closes quickly, improving traffic flow, while providing energy savings, employee comfort and environmental control.